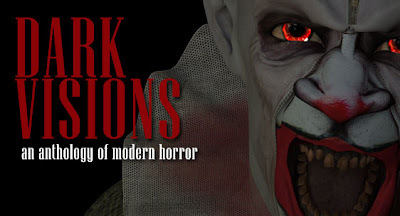 I'm very happy to announce that my story 'The Troll' is due to appear in the upcoming horror/fantasy collection Dark Visions. The story is sort of a mash-up of Donnie Darko, Stephen King's IT, and Ray Bradbury's Something Wicked This Way Comes. If that doesn't sell you, I don't know what will. The book is scheduled to be released by Grey Matter Press sometime this spring. Details forthcoming.